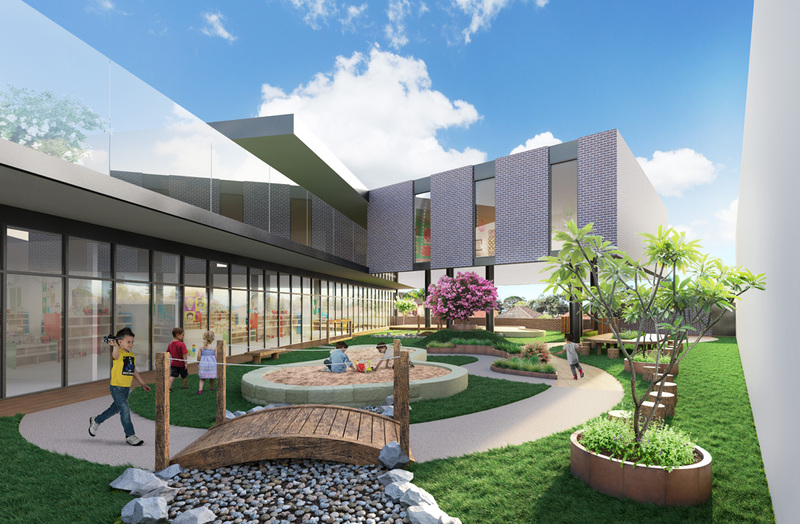 Architecture firm Kaunitz Yeung Architecture is redefining multi-storey childcare with the launch of the Paisley Park early learning centre in Brookvale, New South Wales. The two-storey, learning and play area provides an efficient layout that maximises the number of children while eliminating corridors and increasing natural light and ventilation. David Kaunitz, director and co-founder of Kaunitz Yeung Architecture, says: “The design offers an innovative approach to multi-storey childcare and creates a learning oasis in an urban environment. “The building forms have been placed so that the roof of the floor below becomes the outdoor space of the floor above. The result is the creation of spaces that are light-filled, naturally ventilated and with surrounding views that would not be possible in a single storey arrangement. The official launch for Paisley Park Brookvale will take place Saturday 9 February with a Community Fun Day hosted by Paisley Park creative consultant and international chef from Network Ten’s The Living Room, Miguel Maestre.